This week will be special and HUGE! Everything that is coming this week has been in the works since at least January. I’ve had at least a handful of posts that have talked about my involvement with the taping of Gordon Ramsay’s Fox Show “Hotel Hell” at the Cambridge Hotel back in January. 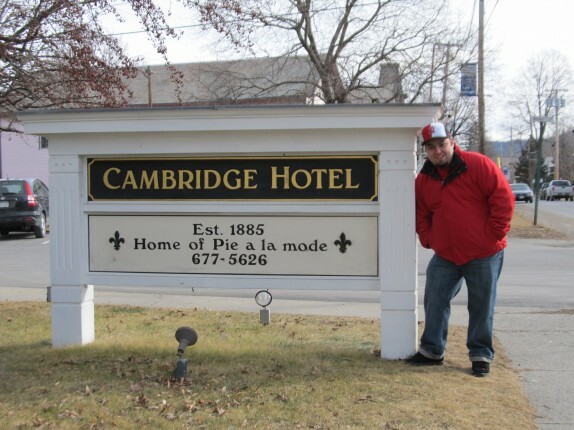 You may have even read the derryX Dines post about the first meal at the Cambridge Hotel on the first night of taping, before Ramsay’s arrival. If you’re a friend on Facebook or twitter, you probably also saw that I went back after Ramsay’s makeover and turned it into a special weekend. If you’re not, you’ll get to see this week just how special it was. I’m breaking my normal schedule of publishing a derryX Dines article on Tuesday morning, and am bringing it to you tonight instead. For those of you who can’t make it to the live viewing at the Capital City Gastropub tonight, I hope you will at least watch the show on FOX at 8PM. Then, just as the episode ends, turn on your computer, tablet, or other mobile web device and come back to derryX.com where you’ll find a brand new post detailing my second visit to the restaurant. If you’ve ever seen Cassie’s “Hotel Tours”, Wednesday’s post gives a “derryX interpretation” of a hotel tour, and has some of Cassie’s pictures of the room that we stayed in at the remodeled Cambridge Hotel. This post is the closest a post by me will ever get to being romantic. Thursday’s post is truly something outstanding. I really don’t want to say much else about it, or I’ll ruin the surprise! For Friday, I’ll hopefully have some pictures and things to say about the special themed dishes put together by the chefs at the Capital City Gastropub and plan on talking about how the live party turned out. Maybe, just maybe, I can line up some special guests in time for this. So, as you can see, it’s going to be a fairly busy week with content focused around the television show. You’re not going to want to miss any of it! Hope to see some of you tonight! If you’re interested, Fox Broadcasting posted six brief preview videos of the show on its YouTube page. Enjoy!